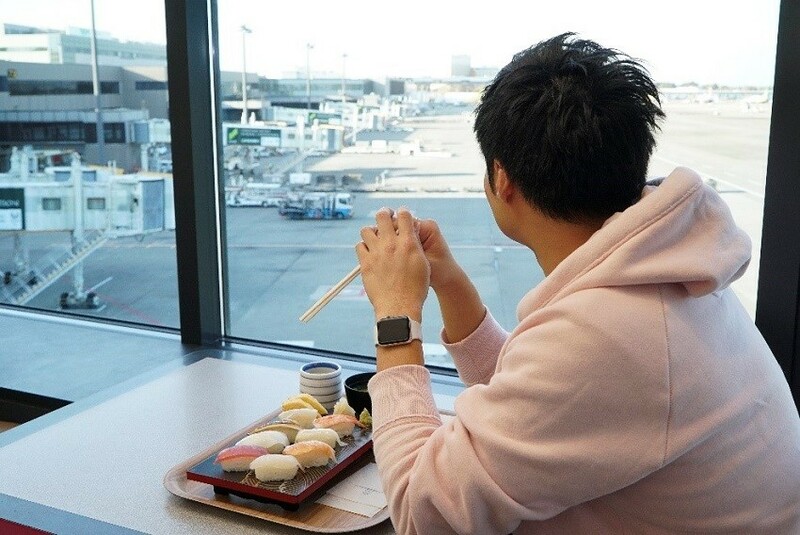 SNS Spots Hunting at Narita International Airport! The photo spots that we are going to introduce this time are quite unique one. Yes, that’s Narita International Airport! 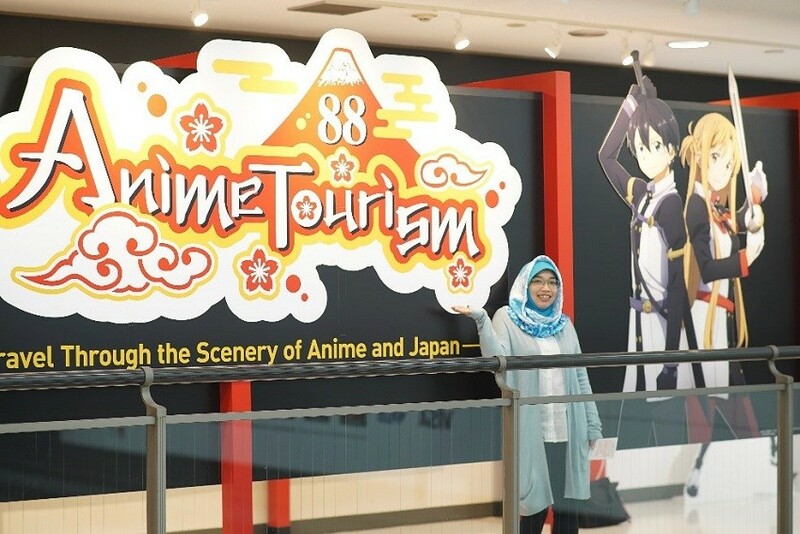 In fact, there are many spots worth taking photos before arrival in and departure from Japan (before going through customs and immigration area). We are going to introduce 5 spots. Please try and share your photos to FUN! JAPAN! Look! She is “carrying” an airplane! Ah! 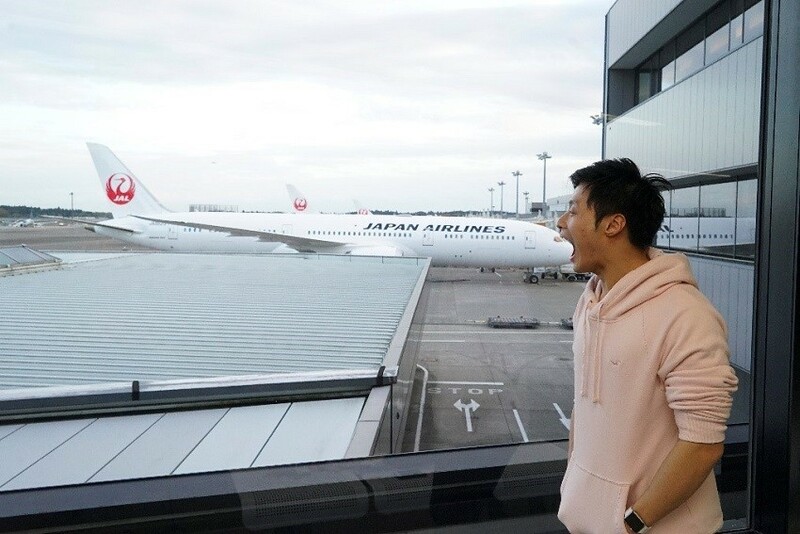 He is “eating” the airplane! A “love” pose with the airplane! If you take an early morning flight and arrive at Narita International Airport at noon or evening time, you may encounter such view. 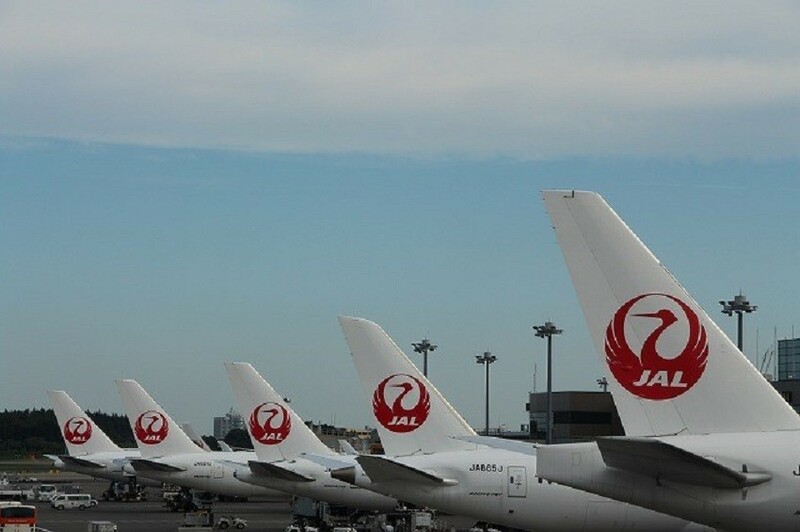 If you use different airport usually, you can see lots of different airplanes here in Narita! Right after your arrival in Japan, from the windows of the walkways you can see many airplanes. It is possible to take instagrammable photos here. 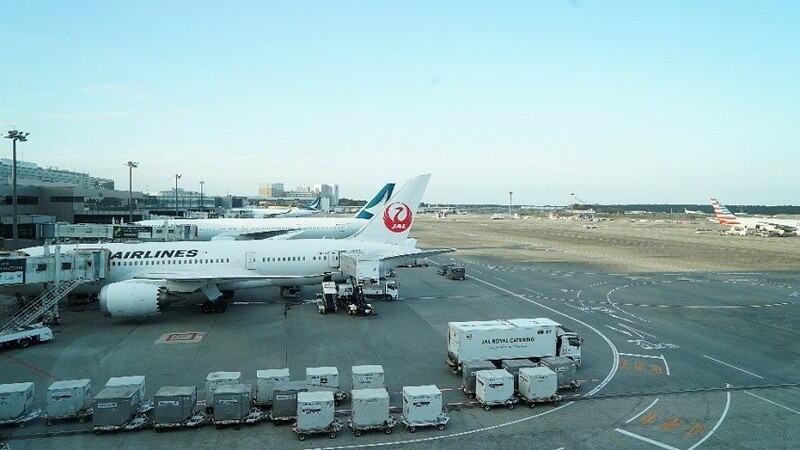 At Narita International Airport, you can connect to many destinations such as US and Canada, so if you are just using the Terminal 2 as a transit point, you can take those photos while you’re waiting for your connecting flight! The photo is taken right before the immigration area at Terminal 2 arrival area. Perhaps you just arrive and need a make-up redo, but please give it a try for photos! Eh!? Run race in the airport before you fly home or transit to LCC? What? An indoor running track? 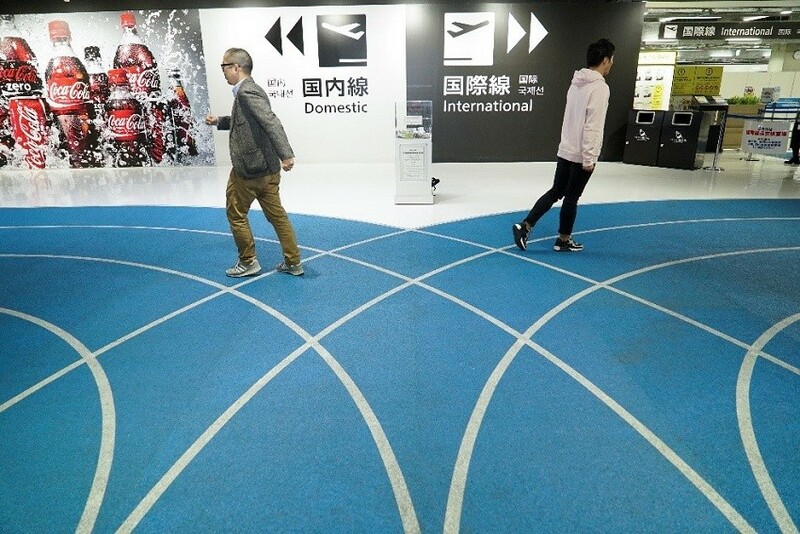 This is the famous running track like floor design in Terminal 3. It may be crowded, but it just makes you feel like to walk in line. You may bump into others if you run, so please do not run and walk with care! The “running track” starts from the entrance of Terminal 3 to the baggage inspection area. It depends on how you want to have fun with it, be a “serious runner” and run at full force once stepping into the airport before your departure? Perhaps you can also have a running pose together with your family and friends living in Japan who are here to send you off. That will be a good memory! 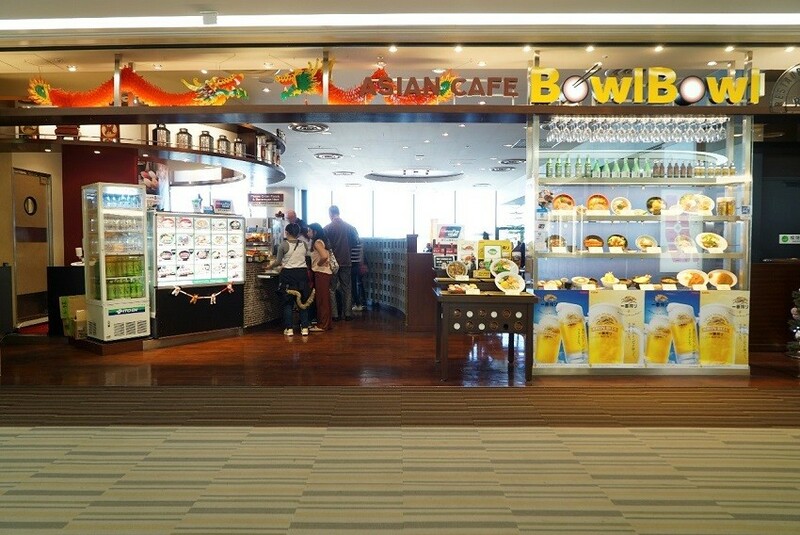 Our next recommendation is “Asian Café Bowl Bowl”, where you can watch the flight’s departure preparation while enjoying your meal before leaving Japan. The menu ranges from ramen to sushi; there are varieties of food for you to choose. It is quite a rare spot in airport as it aligns with the flight body so you get to see the preparation procedures before a flight taking off! The view is so nice with a bright atmosphere. And the sky is so wide! It is not often that you get to take photos with airplane. It is the right photo for Instagram! There are many airplanes parking here in the evening. *It is located at the duty-dree area after the customs and immigration. Upon your arrival or before your departure! Let’s visit the world of animations! 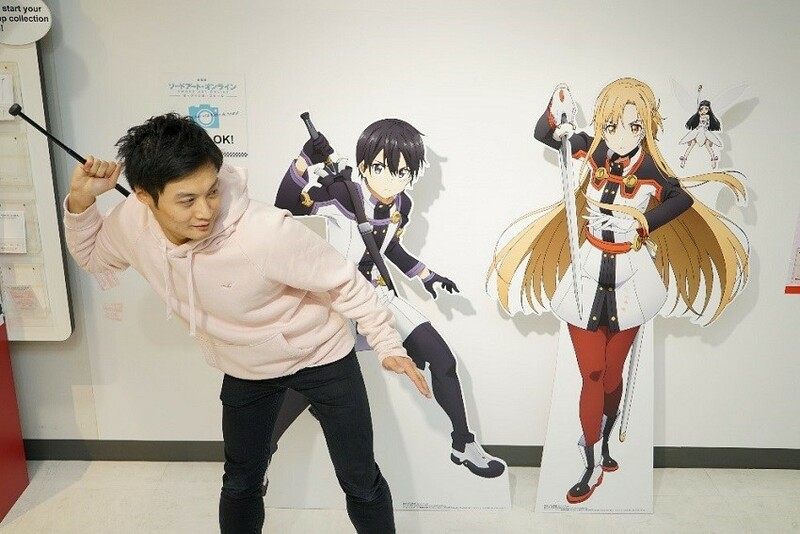 A commemorative photo with the anime characters. 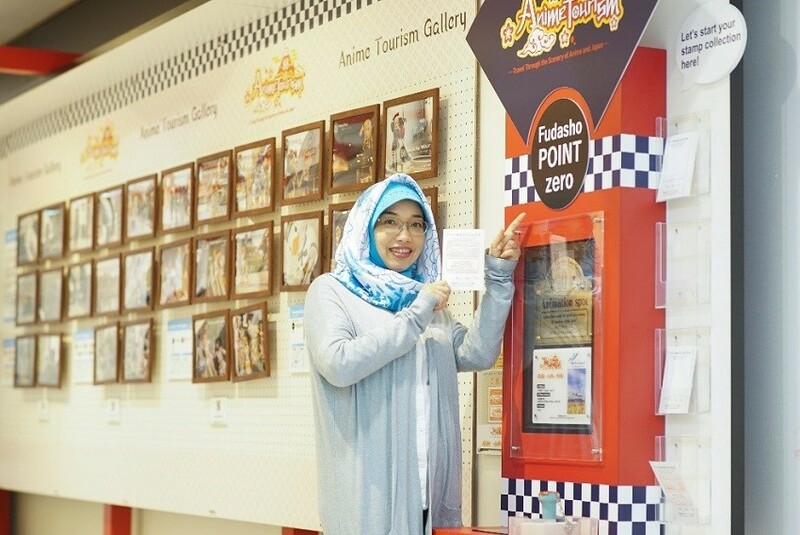 The Fudasho Point Zero (Anime Tourism Information) at “Anime Tourism 88”. One can find introduction of streets with the concept of Japanese animations and comics here. That would be great if it happens that the places that you are going to visit are also one of them. The place can also be visited by those who are here to bid farewell to friends or family who are traveling out from Japan. 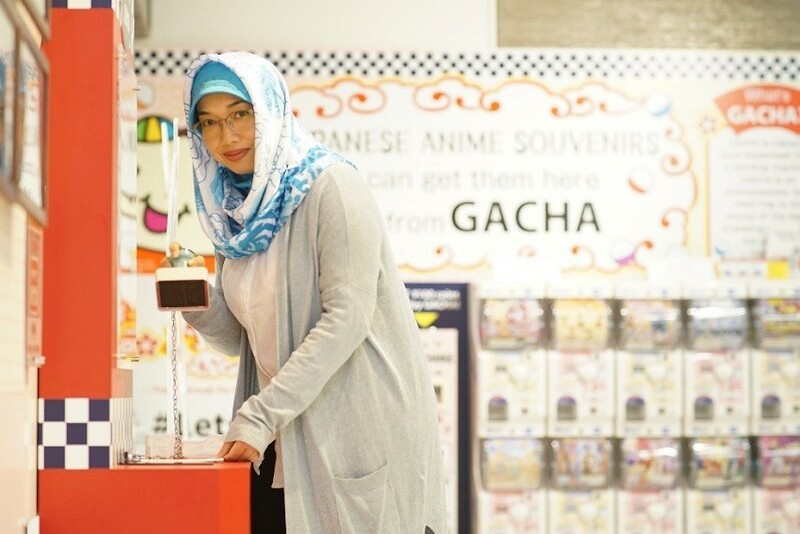 It is located at Terminal 2, Main Hall 2nd floor, North area (before customs and immigration area). Let’s wear the Hello Kitty’s ribbon! All girls like Hello Kitty. We want everything that are displayed on the racks in the store. For those who are here to send people off, you can also shop and take photos. Let’s take a photo with the popular characters and share on social media before departure! 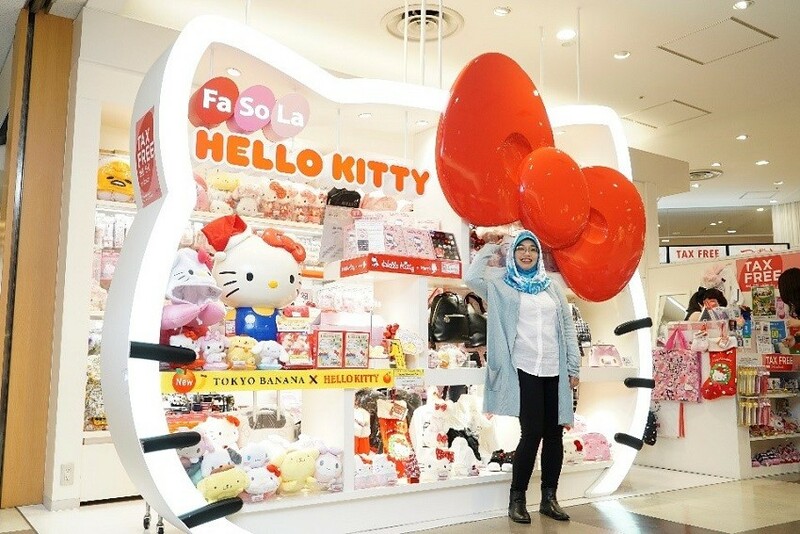 The “Fa-So-La HELLO KITTY” is located at the 4th floor of Terminal 2. 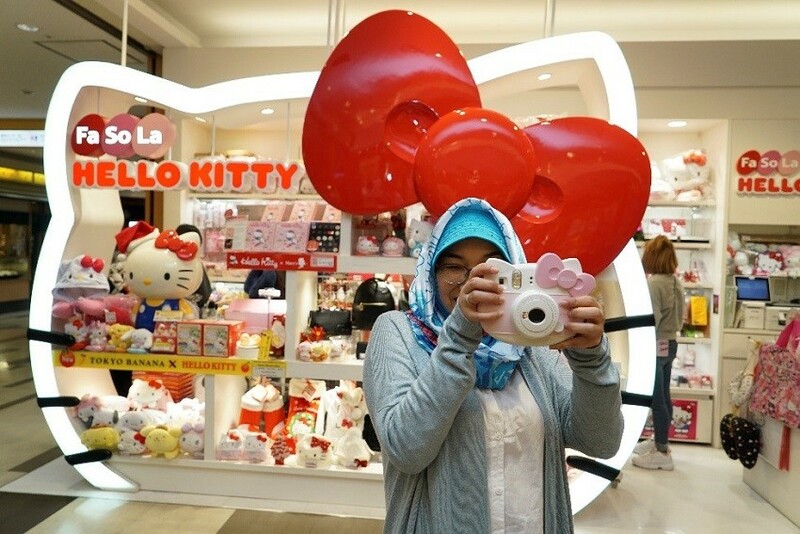 New products and limited editions are available too and is a must-go place for Hello Kitty fans. If only we could have this shelf at home, perhaps all the Hello Kitty collections can be beautifully displayed?! *The display shelf is, sadly, not for sale. What do you think? 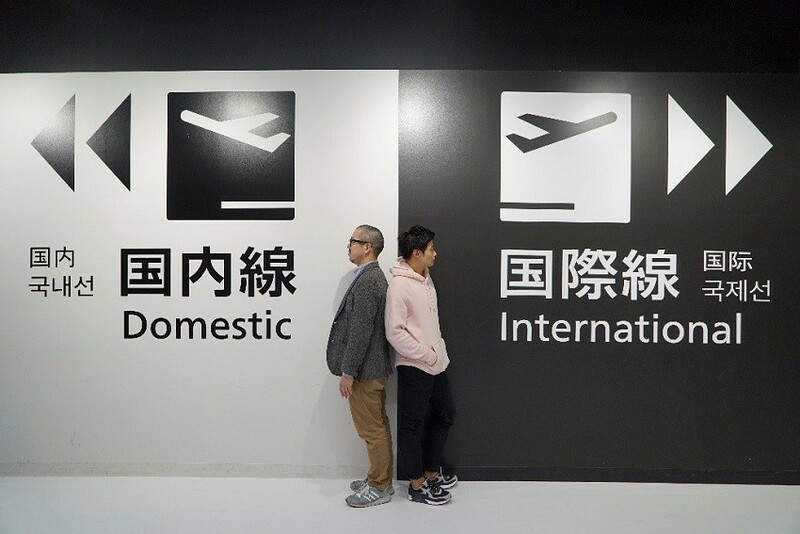 This time we’ve introduced photo spots in Narita International Airport. Speaking of airport, you may have the image that it is only a gateway to fly. In fact, it can also be an instagrammable spot with good views to enjoy. 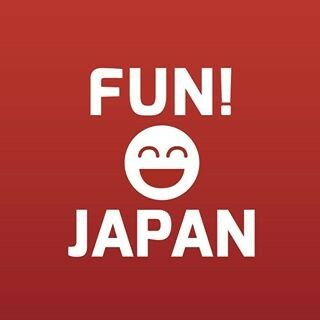 If you are coming to Japan, please take photos at spots recommended by FUN! JAPAN! 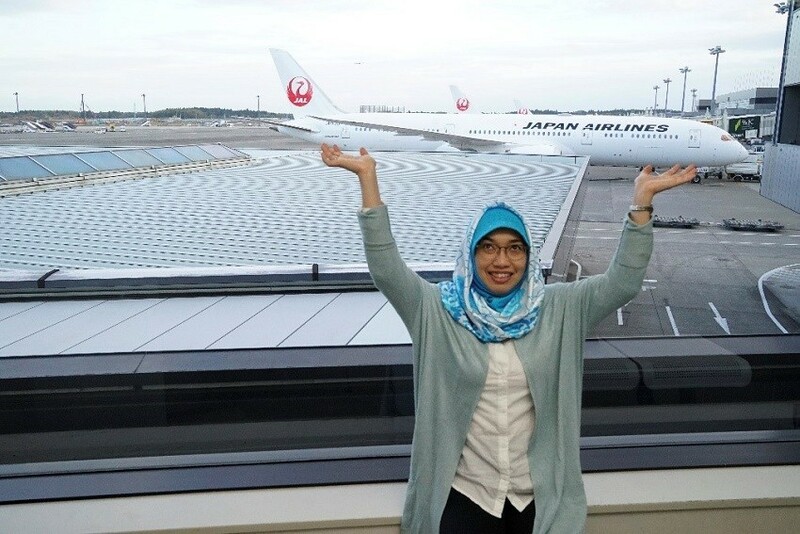 If you have time, please read here for more articles about fun experiences in Narita International Airport reported by FUN! JAPAN!